Use Brokers Data to generate qualified health insurance leads that are exclusive to you or your agency. Having daily conversations with fellow insurance agents, the common thread is how can we identify a source for good, qualified leads. The importance of identifying a good, reliable health insurance sales lead, especially since health insurance premiums seem to be on the rise, is the number one concern for most of the agents and insurance brokers we speak to. The same old options are still a choice and internet insurance leads seems to still be the easiest option. The fact that these leads are from folks who are browsing the web and filling out internet contact forms with self reported information dilutes the quality of this type of insurance lead. In addition, many of these lead companies will give a chosen few big agencies 1st crack at these leads prior to sending them to the individual agent. The odds seem to be stacked against you right from the outset. 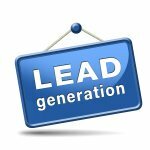 Most insurance agents find these leads to be non-productive and expensive to maintain the lead flow. Does this mean that agents using insurance internet leads are not successful? No... but it is very important NOT to rely solely on this type of lead. Brokers Data has several economical alternatives. We have compliant databases that can be used in our turn-key direct mail campaigns or lists with DNC compliant phone numbers that can be used in your telemarketing lead generation efforts. 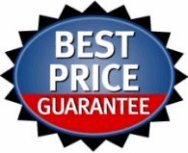 We can also set you up with a very low cost predictive dialer usually in about an hour turnaround time. You can now target qualified consumers for your health insurance policies, products and services by pulling a list of pre-qualified consumers and sending them a customized insurance offer mail piece that instigates a call from the consumer wanting a quote or more information about your product and services. Generate the best health insurance leads you have ever had! We can implement your direct mail campaign from cradle to grave and also give you the capability to track your progress using tracking codes on your mail piece or directing the recipient of your mail piece to a PURL (Personalized URL) so respondents can fill out your application with their information. Insurance Professionals... Stop buying expensive marketing leads when you can generate your own truly exclusive leads using our telemarketing lists, dialer or direct mail solutions. We can filter our list selections by exact age, income, homeowner status, presence of children, ethnicity, smoker or non smoker, diabetic and other ailments, credit score, and more. In addition, we can pull your lists from any geographical selection such as state, city, county, zip code list, radius of a centralized zip code (ie: your office zip) or area code. Don’t bank on the same old, same old when you can implement your own proprietary direct mail or telemarketing strategy. Use our targeted health insurance sales leads lists to attract new clients for your insurance business. Brokers Data prides itself in working with our insurance industry friends and clients and will continue to maintain our high integrity and quality lists and leads which can be customized for your health insurance prospecting. Whether you need ideas for individual or group marketing to generate your health insurance leads or if you have other insurance programs, services or products, we can obtain the compliant data and execute a telemarketing or direct mail campaign for you or your agency without delay.